The Australian Securities and Investments Commission (ASIC) has reported on two successful convictions against directors for breaching their duties, in that they engaged in illegal phoenix activities. The reports are in two media releases, both published on 19 December 2017. Copies of the media releases appear below. But unfortunately, the media releases do not report on what, if anything, happened in relation to the assets of the stripped companies. If the only consequences of the phoenix activities were fines and, in one case, disqualification, there has been little in the way of deterrence. As can be seen, one director was convicted and fined $5,000, and automatically disqualified from managing corporations for five years. His company (Brimarco) had all its funds – $34,800 – taken and transfered to a related company, leaving behind debts of $2 million. The release does not say whether the $34,800, or anything at all, was recovered. The other director was discharged without conviction upon entering into recognisance in the sum of $2,000 on condition that she would be of good behaviour for two years. She sold the assets of her company (Greenlay Enterprises) to a related entity for $20,000, which appears to have been less than their market value. To make matters worse, the related entity did not actually pay the $20,000. The release does not say whether the assets, or an amount equal to their worth, or anything at all, was recovered. The Treasury has today (28 September 2017) released a consultation paper on reforms to address illegal phoenix activity. The closing date for submissions by interested parties is 27 October 2017. The paper is available for download from the Treasury website. 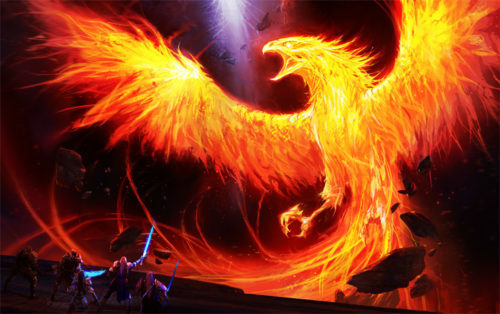 Phoenixing involves the stripping and transfer of assets from one company to another to avoid paying liabilities. It hurts all Australians, including employees, creditors, competing businesses and taxpayers, and has been a problem for successive governments over many decades. Phoenixing has a significant financial impact – in 2012, the Fair Work Ombudsman and PwC estimated the cost of phoenixing to the Australian economy to be as high as $3.2 billion annually. It also undermines business’ and the public’s confidence in the corporate and insolvency sectors and the broader economy. The DIN will identify directors with a unique number, but it will be much more than just a number. The DIN will interface with other government agencies and databases to allow regulators to map the relationships between individuals and entities and individuals and other people. Some directors of insolvent companies abandon their companies rather than adopt the proper course, which is to put the company through formal liquidation under the Corporations Act. The Australian Securities and Investments Commission (ASIC) recently (21 October 2015) published a list of the latest abandoned companies that it has placed in liquidation under the special powers provided in section 489EA of the Corporations Act 2001. This brings to 60 the total of such company liquidations. Were it not for special powers given to ASIC, abandonment of a company would cause employees who had not been paid their wages, leave and other entitlements to miss out on the compensation administered through the Australian Government’s Fair Entitlements Guarantee scheme (FEG), because such financial assistance is only available to employees of businesses that have gone into liquidation (or bankruptcy in the case of non-corporate employers). So putting an abandoned company into liquidation gives unpaid employees access to the FEG compensation. Unpaid employees of an abandoned companies can submit a request to ASIC to wind up the company. One can only hope that the liquidators are recovering company assets to pay the liquidation costs, or that the directors are penalised in some way for making taxpayers foot the bill. The 60 abandoned companies wound up by ASIC since 2013 owed a total of 213 employees more than $2.9 million in entitlements. 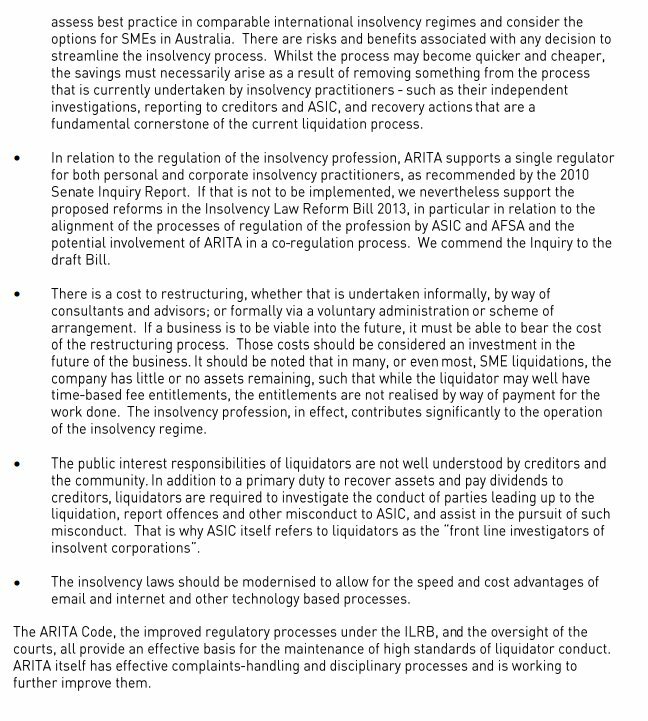 The Senate Committee established to inquire into “Insolvency in the Australian construction industry” – which is code for illegal phoenix activity in the construction industry – has received written submissions from industry bodies, unions, contractors associations, superannuation funds, insolvency practitioners, the ATO and the ASIC. 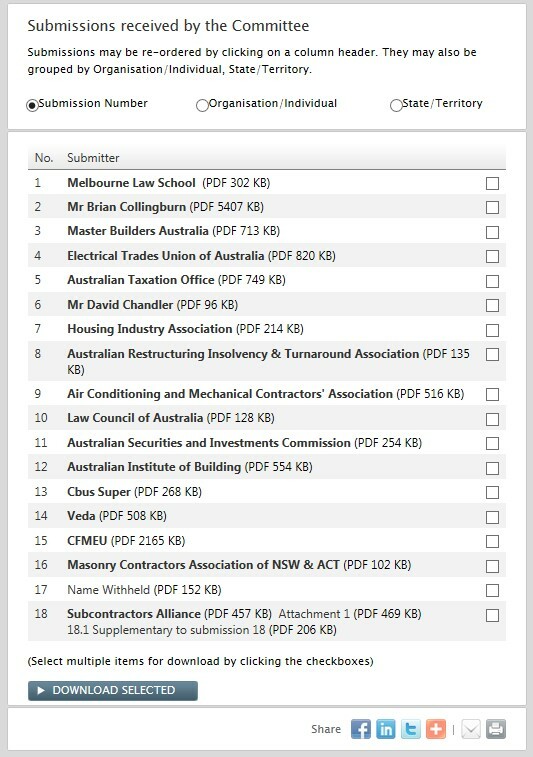 A total of 18 submissions were received and are available for download from the Parliament of Australia website. Below is a screenshot of the list of submissions. …. 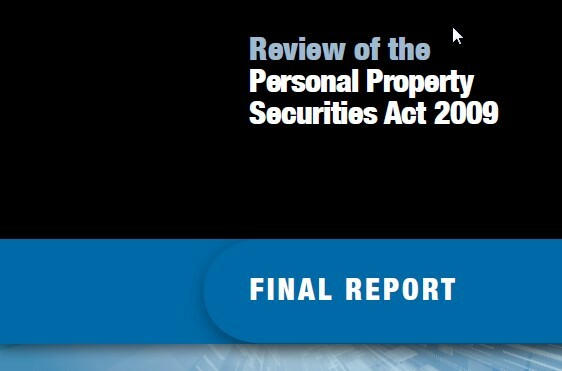 The Personal Property Securities Act 2009 (referred to in this report as the Act) has improved consistency in Australia’s secured transactions laws, but submissions emphasised that the Act and the Register are far too complex and that their meaning is often unclear, and that the resultant uncertainty has not allowed the Act to reach its potential…. …. Much can be done to improve the Act. The Act is significantly longer than the corresponding legislation in other jurisdictions, and while some of that additional length is attributable to constitutional or other machinery provisions, much of it flows from the very prescriptive nature of some of the drafting, and from the inclusion of additional provisions that may be of only marginal benefit…. …. There is no one single step that by itself will produce a major improvement to the Act. Rather, improvement needs to come from the making of many small changes…. …. The reforms introduced by the Act will only realise their objectives if the people that it affects are aware of it, and understand how it affects them. Government went to considerable efforts to raise awareness of the Act around the time that the Act was passed, but general awareness of the Act appears to have remained low, and the complexity and unfamiliarity of the content of the Act have meant that many do not know how to work with it…. There are 394 recommendations in the Final Report. They appear in a table in Annexure E, beginning at page 502 of the report. DOWNLOAD: The full report is available for download at this AG department website. has not achieved a clear and appropriate outcome for small business; rather it has created a raft of uncertainty, misrepresentation and total confusion for all small business operators in Rural Australia. The extracts from submissions that are set out above in Section 3.1.2 all make the same point: that the Act and the Register are far too complex. This was a consistent theme across the submissions as a whole. The Act deals with a complex area of the law – one that traverses our entire economy, and that manifests itself in different sectors of the economy in very many different ways. The area does not lend itself to one simple set of rules, and the Act will always be complex. The submissions demonstrated, however, that the Act is more complex than it needs to be. In my view, a number of factors have contributed to this outcome. First, as noted earlier, many of the concepts and much of the terminology in the Act have been adopted from overseas models. Those models were not created in a legal vacuum, but were founded in and based on the substance of the legal systems for which they were developed. In particular, while Article 9 of the Uniform Commercial Code in the United States was regarded as revolutionary in the way that it created a standard set of rules for all types of security interests, it was also very much a creature of the state of law and commercial practice in the United States at the time it was developed. Clearly, the economic structures and legal systems in Australia in the early 21st century are very different to those that prevailed in the United States in the middle of the previous century. As a result, terminology and concepts that made sense and were relevant for Article 9 as part of United States law will not necessarily make the same sense, or have the same relevance, in the Act as a component of current Australian law. Secondly, it appears that the architects of the Act may have tried too hard to be helpful. The Act is far longer than its Canadian and New Zealand counterparts, even allowing for the additional provisions that were included to accommodate constitutional and other machinery requirements. The developers of the Act appear to have endeavoured to produce a “best of breed” piece of personal property securities legislation, by picking out the best elements of the offshore models and then adding additional detail in an effort to explain more clearly exactly what is required. Rather than helping Australian businesses, however, this had the effect of creating very specific and detailed operational requirements. It limited flexibility and required changes to operating practices in order to align them with the structures required by the new rules. The third main factor that has led to this situation, in my view, is that the development of the Act appears to have been approached as a design process, too divorced from the realities of the marketplace that it was designed for. While Government did provide the business and legal community with opportunities to comment on drafts of the legislation, the sense of many of those who were involved in the consultation process was that input from the business and legal community was not sufficiently incorporated into the policy design and the detailed drafting. 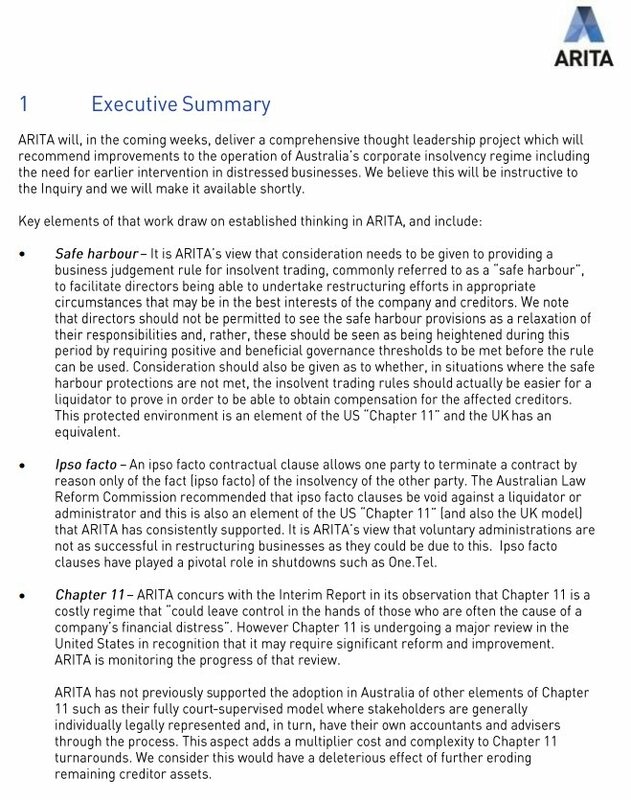 As a result, there is a misalignment in some areas between the policy and drafting of the Act on the one hand, and the operating realities of the Australian business environment on the other. This has created confusion and uncertainty, rather than clarity and certainty. This is not intended to reflect adversely on the individuals involved in the actual drafting of the Act, or those who instructed them. Rather, it is a reflection of the magnitude and complexity of the task. Whatever the reasons for the confusions and complexities in the Act, they have made the Act very hard to understand and to work with, not just for businesses but even for legal specialists as well. This is exacerbated by the fact that the complexities compound each other – unfamiliar terms and uncertain concepts are used in complex provisions, in a way that can make it even more difficult to determine how those complex provisions inter-relate with each other. The cumulative effect is that the Act can be very difficult to understand and to work with. It is clear that much can and should be done to streamline the Act, and to align it more closely with the realities of the marketplace that it applies to. That is the subject of Chapters 4 to 9 of this report. The big challenge for amendments to the Act that are made as a result of the Final Report is that they make the Act and its practical application much easier to understand.